We often hear people say, ‘It’s the little things that matter.’ In most cases, these ‘little things’ are the ‘doers’ – but they are not projected to be so. The same holds true for our body. Many little elements in our body maintain and protect it. The pivotal and noteworthy ones that we shall discuss here are electrolytes. Electrolytes are a group of elements that dissociate in water to give charged ions. These ions drive a multitude of intra and extracellular processes. Only a few ions can do so, though! What are they? Well, you’ll come to know that and a lot more when you start reading this article. Ready? Start scrolling! What Are The Common Electrolytes Our Body Needs? Foods Rich In Electrolytes – Are They Real? What Are The Benefits Of Having Optimum Electrolytes In Your Body? What Happens To Your Body When There Are Insufficient Electrolytes? Electrolytes are defined as substances that give ions when dissolved in water. These can be acids, bases, or salts. Any of these classes dissociates in water and gives ions – such as sodium, potassium, chlorine, etc. (1). How are they related to us and our health? Well, your body is made up of fluids. Blood is the largest connective tissue that transports oxygen and nutrients throughout the body. It is made of plasma and several types of cells. And 90% of plasma is water! It is through this water that all the nutrients and ions are carried to the tissues. You also have interstitial fluid, lymph, cerebrospinal fluid, aqueous humor, and several fluids in different tissues of the body. All these fluids are made up of water and dissolved ions. In other words, your body runs on electrolytes. Let’s now understand the function of these electrolytes. Our body fluids are responsible for carrying out all the physiological activities. From transmitting nerve impulses at synaptic junctions to kidney functioning, from knee reflex action to blood clotting mechanism, from cell division to your rhythmic heartbeat – all activities are dependent on the release or capture of ions. From where do these ions come? Yes, you are right! Electrolytes. The electrolytes in body fluids serve as reservoirs of ions. These can be picked up by the respective cells to perform specialized functions. This means that if there is an insufficient electrolyte concentration, most or all of these processes will cease. This will cascade down to acute disorders or breakdown, which we shall discuss in later sections. Therefore, maintaining fluid and electrolyte balance in your body is critical for a long, smooth run. What are the different electrolytes required by our body? Find out in the next section. Our body always needs seven minerals in the form of ions. These ions, dissolved in water, make up the body’s electrolytes. They are sodium, potassium, chloride, bicarbonate, calcium, phosphate, and magnesium (2). Sodium is the primary ion of the fluid between cells (extracellular fluid). It regulates the volume of this fluid. It is responsible for maintaining the pH balance, osmolarity, and membrane potential of the cells. Sodium levels in the body are tightly controlled. The kidneys regulate the homeostasis of sodium. Depending on the levels of sodium in your body, they decide the amount of sodium to be released or retained in the urine (3). 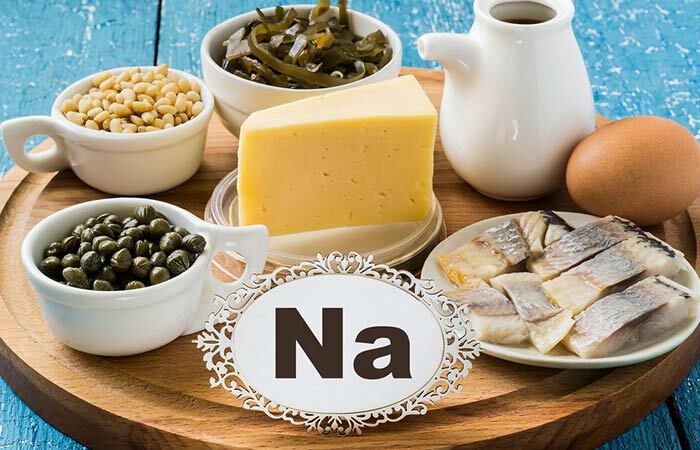 Due to its integral participation in a variety of cellular processes, sodium is always in demand. The FDA recommends a daily intake of about 2.3 g for optimal health. Those above 51 years of age can cut it down to about 1.5 g a day (4). While sodium is present outside the cells, potassium is inside them. The concentration inside the cells is about 145 mM/L – 30 times higher than what’s present outside the cells. This extracellular potassium takes care of muscle contraction, maintains normal blood pressure, and regulates nerve impulse transmission (3). 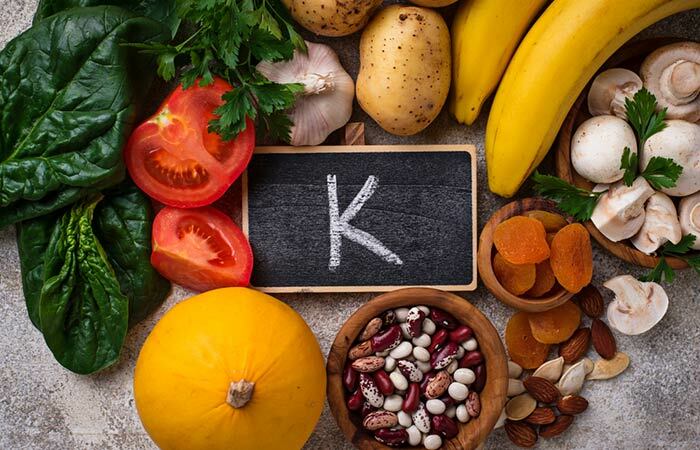 Most importantly, potassium is a cofactor for several enzymes. A few such enzymes are involved in carbohydrate metabolism and energy (ATP) producing reactions (5). Like sodium, potassium is abundantly present in foods – mainly fruits and veggies. Avocados, potatoes, raisins, plums, prunes, tomato juice, and bananas are good options to boost potassium levels. The adequate intake for an average adult is about 4,700 mg/day. Lactating women might need up to 5,100 mg/day due to increased demands (5). Chloride is one of the primary anions (negatively charged ions) around the cells. The most important role of chloride ions is to react with the hydrogen ions and form gastric juice. High concentration of chloride is also found in the cerebrospinal fluid and GI secretions (3). Chloride is also involved in other key areas like body fluid regulation, establishing electrolyte balance, maintaining electric neutrality in the cells, and controlling ion channels and gateways (6). Adequate intake of chloride is about 2.3 g/day, going hand-in-hand with sodium. Older people need lesser chloride (about 2 g/day) due to reduced demands (7). Bicarbonate is one of the abundant ions found in your blood. It maintains the acid-base balance in your blood, Simply put, it is involved in the blood buffering system. These ions are a product of the reaction of carbon dioxide (CO2) with water. During respiration, we take in oxygen and give out CO2. Only a small part of CO2 is soluble in our body fluids. Our body quickly converts it into bicarbonate ions to avoid toxicity (8). When required, CO2 and water form carbonic acid. Carbonic acid can break down to form bicarbonate and hydrogen ions. These ions can also form carbonic acid that can break down into CO2 and water. This is how blood buffering is done (8). Enzymatic conversion of CO2 to bicarbonate happens in the cytoplasm of red blood cells. Bicarbonate is then transported to the blood. In the lungs, the reverse reaction occurs. CO2 is regenerated from bicarbonate and exhaled as metabolic waste (8). The first thing that comes into your mind when I say calcium would be – bones. It is not surprising because bones act as a mineral reserve or deposit for calcium. Another fraction of calcium is bound to proteins. The remaining free calcium ions do a lot of things – muscle contraction, enzyme activation, blood coagulation, cell membrane stabilization, neuronal signal transmission, hormone secretion, etc. (8). 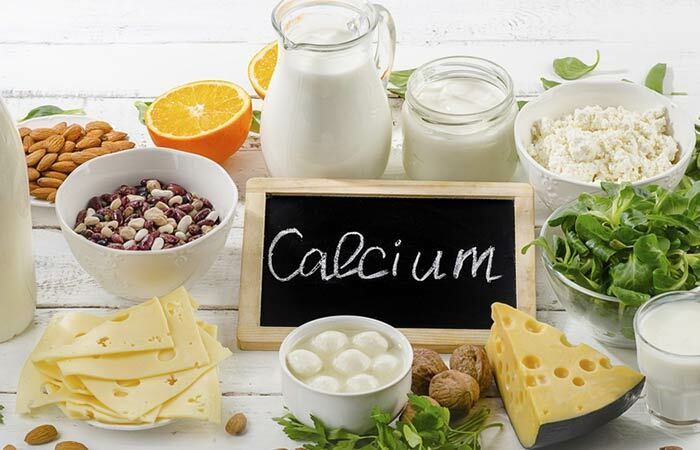 Calcium is absorbed from your body in the presence of activated vitamin D. The parathyroid gland tightly controls the serum calcium levels between 8 to 10 mg/dL (9). Along with calcium, phosphate is another inorganic negatively charged ion (anion) present in the teeth and bones. Phosphate is present in the cell membranes as phospholipids. It is also a part of buffers and nucleotides – especially ATP (adenosine triphosphate). ATP is the energy molecule on which your body runs. 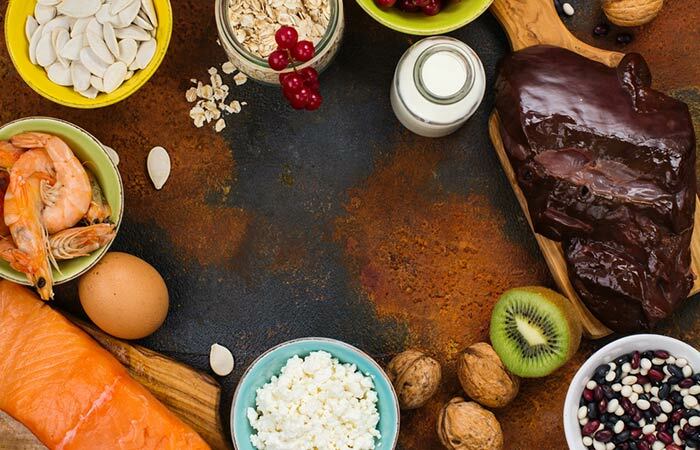 Egg yolks, chocolate, soft drinks, and milk are the top dietary sources of phosphate (10). The recommended dietary allowance (RDA) of phosphate (in the form of phosphorus) is about 700 mg/day for an average adult (11). Magnesium ions are present in the intracellular fluid. In fact, it is the second most common intracellular cation after potassium. Extracellular magnesium is mainly found in serum and red blood cells (RBCs) (12). As it is a cofactor of over 300 enzymes, magnesium is pivotal for enzyme stability. It indirectly controls glucose utilization, synthesis of fat, proteins, nucleic acids, and coenzymes, muscle contraction, and neurotransmitter release. 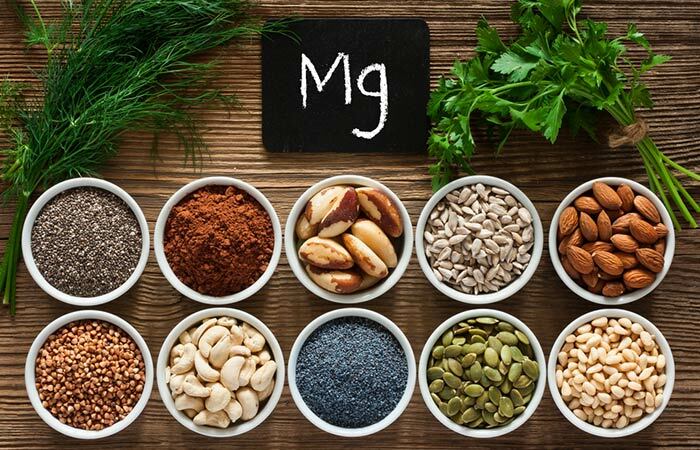 Magnesium has a significant contribution to the regulation of heart rhythm, blood clotting, and bone formation (12). Adult women and men might need 310–360 mg and 400–420 mg of magnesium every day, respectively. Literature also recommends a minimum daily intake of 350 mg for men and 280–300 mg for women (355 mg during pregnancy and lactation) (12). Looking at the kind of activities these electrolyte ions perform, it seems mandatory to maintain their reserve in our body. How do we maintain adequate levels of electrolytes? Having foods containing fair amounts of electrolytes can keep your body young and active. Wondering whether such foods exist for real? Scroll down and find out! You might even be eating them now as you are reading this! Here, we have compiled a list of foods rich in electrolytes. Take a look. Bicarbonate can be found in baked foods, fizzy (effervescent) drinks, beans, and legumes, along with ions like sodium and calcium (13). Chloride is generally found along with sodium in celery, tomatoes, rye, lettuce, olives, and seaweed. The common sources are table salt and added salt in processed foods (14). Wasn’t I right? These foods indeed are a part of our daily meal! A balanced diet with these foods would contain ample electrolytes to keep you going in the long run. But how will these electrolytes affect your body if you consume them every day? Check the next section to know how! The electrolyte balance is controlled and sensed by several intracellular and extracellular receptors. This balance is lost when the body is under stress – especially when you are undergoing dehydration. Dehydration can occur as a result of pathogenic infection, extreme physical stress, and several other physiological factors. Along with loss of water, dehydration causes depletion in dissolved electrolytes. Loss of electrolytes can, in turn, give rise to dizziness, low blood pressure, unconsciousness, and, in worst cases, even death (15). Eating fresh fruits, vegetables, and nuts and keeping yourself well-hydrated at all times can prevent such repercussions. These foods can restore the lost electrolyte content and leave you recharged. Water is a great medicine. Drinking enough water can prevent dehydration, loss of electrolytes, and other worse side effects. Since it has no calories, plain water can help in managing weight loss (16). Though there is not enough evidence proving this fact, there’s no harm in trying it out! Coconut water is another option for battling dehydration or diarrhea. It is a reservoir of potassium, sodium, magnesium, manganese, and other micronutrients. There is strong evidence showing a positive relationship between electrolyte disturbances and diabetes mellitus. Patients generally show a decrease in potassium, magnesium, and phosphate levels (17). Such electrolyte imbalances set the vicious circle of diabetes and kidney troubles rolling. Diabetes might also lead to impaired absorption of these electrolytes from the GI tract (17). Not having enough water to maintain fluid balance in the body can lead to ketoacidosis in diabetes patients. Ketoacidosis reduces the blood pH to the acidic range, and this could be lethal. Hence, such individuals should often rehydrate themselves to minimize electrolyte loss via urine and sweat (18). Acute diarrhea due to cholera can be a significant reason for electrolyte loss. On the other hand, electrolyte imbalance can also cause constipation. Low levels of potassium, magnesium, and sodium are a common feature in patients suffering from diarrhea and constipation (19), (20). Bulk laxatives and osmotic agents can relieve constipation. 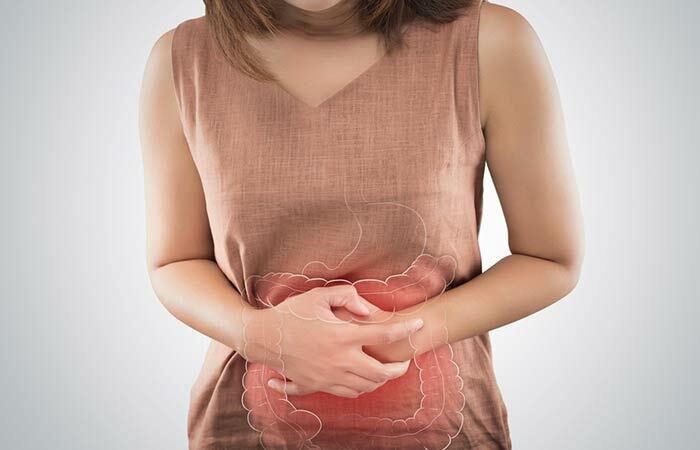 Magnesium, phosphate, and potassium are poorly absorbed from the intestines when you have constipation. Hence, small doses of magnesium oxide can be given to those with mild constipation (20). Patients with diarrhea are put on isotonic oral and injectable fluids to pump more sodium, potassium, and calcium into their bodies. This could prevent the characteristic symptom of diarrhea and acidosis (19). You can also have bananas, avocados, apricots, vegetable soups, and sugarless juices to cope with such electrolyte losses (21). Dietary electrolytes are linked to mood and headaches. It was observed that a low-sodium, high-potassium diet had a positive effect on mood, compared to other diets. Higher potassium in food can bring better improvement in depression, vigor, fatigue, and tension (22). Experts from Baylor College of Medicine say that headaches are linked to dehydration. Especially when the temperatures soar, your body loses a significant amount of water and electrolytes. In an effort to conserve water in body fluids, the blood vessels get narrower (23). Such situations can trigger a headache. And if you are prone to migraine attacks, dehydration is your enemy. Along with prescribed medicines, drink a lot of water, eat a few of the foods we’ve listed, and sleep well to beat migraine. Most migraine patients have significantly lower magnesium levels than their counterparts, according to research (24). No wonder you are asked to eat a lot of apricots! I used to think water and electrolytes are such overrated requirements before I began my research for this article. Now, I know why our body is made of about 70% water! Don’t you feel the same? On the days you drank less/no water, your body was a mess. The electrolyte imbalance can mess up with your body and mind. Don’t believe me? Check out the following section to know what your body goes through when there is an electrolyte crunch. Never thought a deficiency or imbalance of a group of ions could hamper so many processes, did you? I was taken by surprise too. But I realized how critical these little ions are for our well-being. Electrolytes are involved in almost every action your body performs on a day-to-day basis. It is, hence, very important that we maintain optimal levels of these ions. 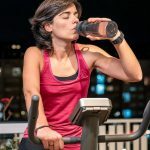 In this article, we’ve tried to present all the aspects of electrolytes – their significance, dietary sources, benefits, and adverse effects of a deficiency. 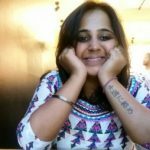 If you liked this read, share your feedback, suggestions, and queries in the comments section below. “Electrolytes” LibreTexts, Chemistry, California State University Affordable Learning Solutions Program. “Body electric” Health & Wellness, Rush University Medical Center. “Water and Electrolytes” Bookshelf, National Center for Biotechnology Information. “Dietary Guidelines for Americans 2010” USDA, U.S Department of Health and Human Services. “Potassium” Micronutrient Information Center, Linus Pauling Institute, Oregon State University. “Chloride: the queen of electrolytes?” European Journal of Internal Medicine, US National Library of Medicine. “Dietary Reference Intakes for Water, Potassium, Sodium…” Sodium and Chloride, The National Academies Press, The National Academies of Science, Engineering Medicine. “Electrolyte Balance” Anatomy & Physiology, Open Oregon State – Open Textbooks Sites. “Electrolytes: Calcium Disorders” FP essentials, US National Library of Medicine. “Overview Of Phosphate’s Role In The Body” Merck Manual, Consumer Version. “Phosphate Salts” MedlinePlus, US National Library of Medicine. “Magnesium basics” Clinical Kidney Journal, US National Library of Medicine. “Preservation and Physical Property Roles of…” Strategies to Reduce Sodium Intake in the United States, The National Academies Press. “Chloride in diet” MedlinePlus, US National Library of Medicine. “Electrolyte Concentrates Treat Dehydration” Health and Medicine, NASA Spinoff. 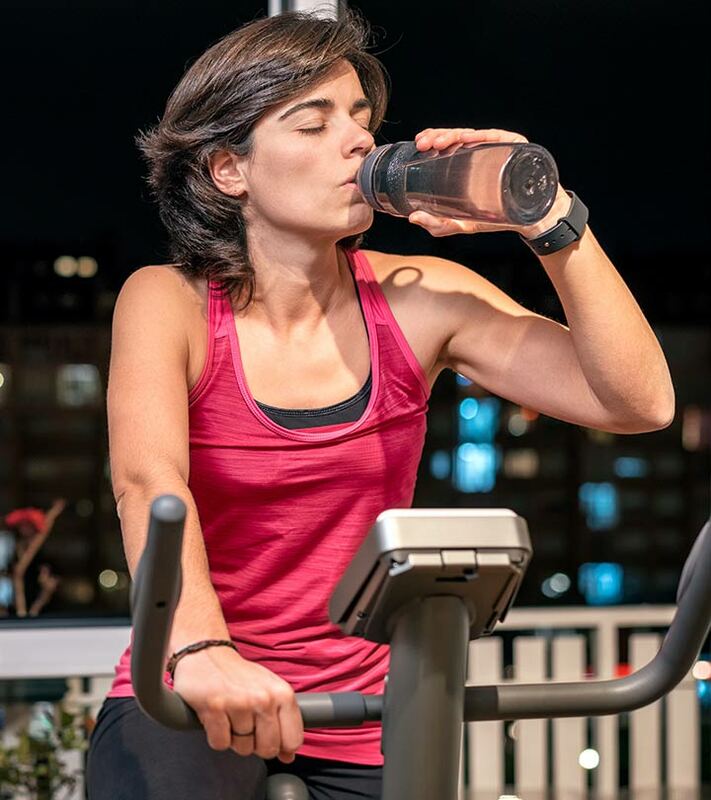 “Get the Facts: Drinking Water and Intake” Nutrition, Centers for Disease Control and Prevention, U.S. Department of Health & Human Services. “Diabetes mellitus and electrolyte disorders” World Journal of Clinical Cases, US National Library of Medicine. “Summer precautions for diabetics” Baylor College of Medicine. “Medical Management of Constipation” Clinics in Colon and Rectal Surgery, US National Library of Medicine. “Evaluation of water and electrolytes disorders in severe…” Journal of Renal Injury Prevention, US National Library of Medicine. Diarrhea” Centre for Comprehensive Wellness, Columbia University Medical Center. “Dietary electrolytes are related to mood.” The British Journal of Nutrition, US National Library of Medicine. 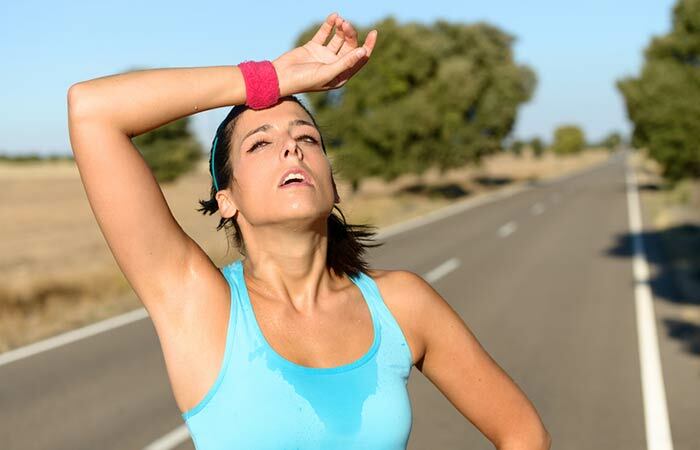 “Headaches and the heat- what really is causing the pain?” Baylor College of Medicine. “Signs and Symptoms of Electrolyte Disorders” Department of Internal Medicine, Yale University School of Medicine.